(A)musings: WOLVERHAMPTON GRAND AND FRIENDS GET 'BRASSED OFF' WITH BOSTIN' BLACK COUNTRY LAUNCH EVENT! WOLVERHAMPTON GRAND AND FRIENDS GET 'BRASSED OFF' WITH BOSTIN' BLACK COUNTRY LAUNCH EVENT! WOLVERHAMPTON GRAND AND FRIENDS GET ‘BRASSED OFF’ WITH A BOSTIN’ BLACK COUNTRY LAUNCH EVENT! Wolverhampton’s premiere Theatre establishment is accompanied by show cast and creatives as they launch the Touring Consortium Theatre Company’s latest production at the West Midlands distinctive Black Country Living Museum. 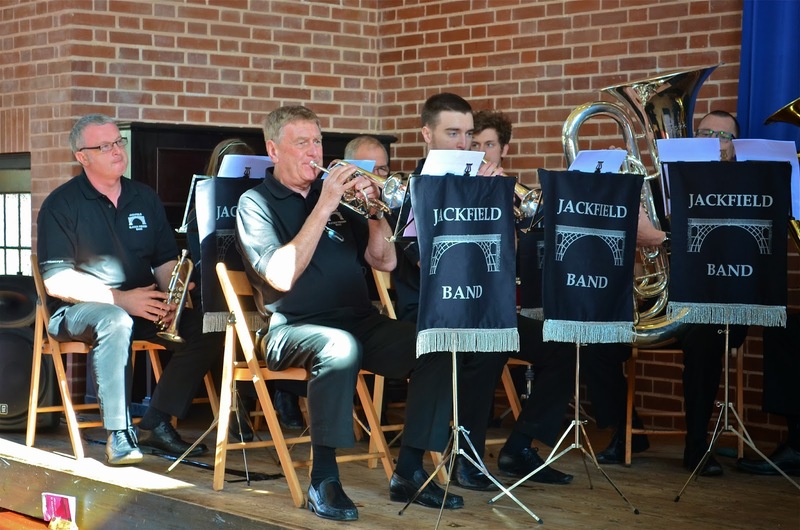 joining the Jackfield Band on stage. A live brass band, complimentary trips down a reconstructed colliery mine, a question and answer session with some of the company’s cast and directors and a traditional fish ‘n’ chips lunch were the order of the day on Monday as the Wolverhampton Grand Theatre assembled press, patrons and affiliates to help launch the city’s leg of the ‘Brassed Off’ UK Tour, the Touring Consortium Theatre Company’s latest production, based on the 1996 film of the same name starring Pete Postlethwaite and Ewan Mcgregor, prior to it’s week-long engagement at the theatre this April. 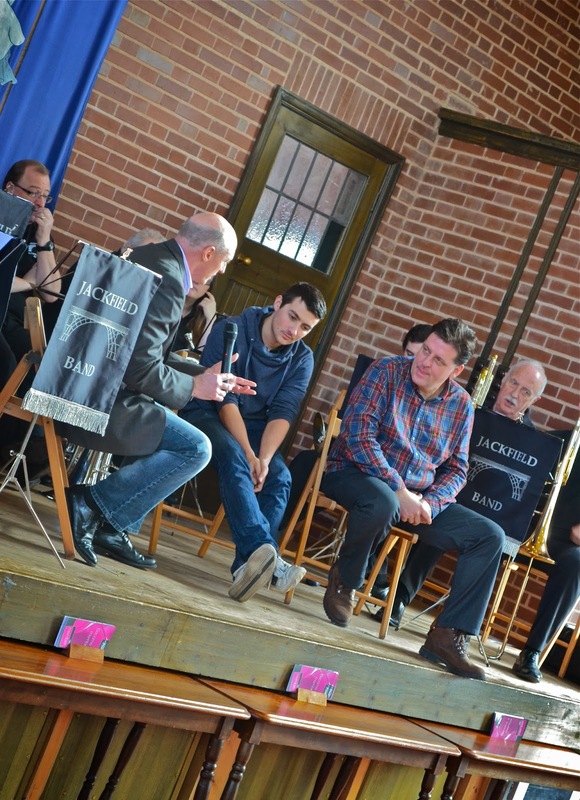 In the museum’s reconstructed workers institute building, guests were treated to a rousing live performance by Midlands-based brass ensemble The Jackfield Elcock Reisen Brass Band, who will be providing the show’s live on-stage band accompaniment for ‘Brassed Off’s’ run at the Grand in April. They were then joined on stage by company Producer Jenny King, who discussed the goals, aspirations and admirable aims of the Touring Consortium, which was founded in 1995 and has been affiliated with the Grand ever since, and Staff Director Neale Birch, who gave an articulate, interesting insight into ‘Brassed Off’ as a show itself, noting the current contemporary awareness given the 30th anniversary of the 1984 miners strike and commenting on the ‘not overly political’ yet still ‘relevant’ slant of a show predominantly focused on communal spirit and solidarity amongst hardship and trying times. 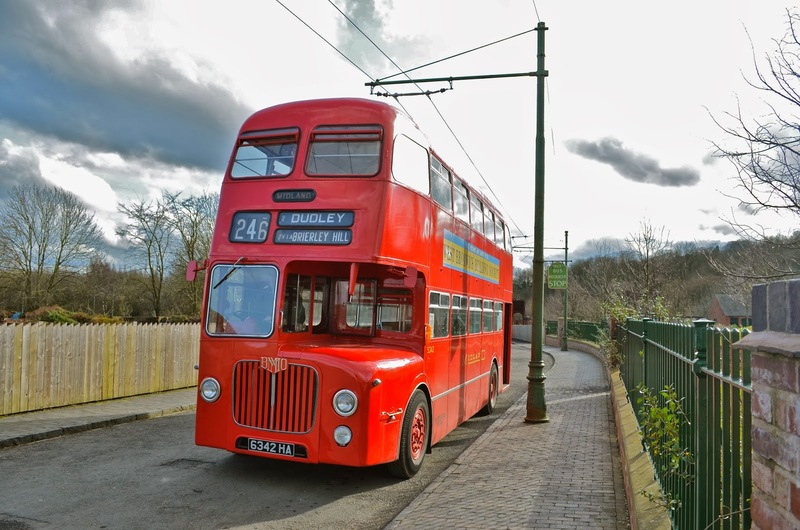 Black Country Living Museum's signature period Double Decker! 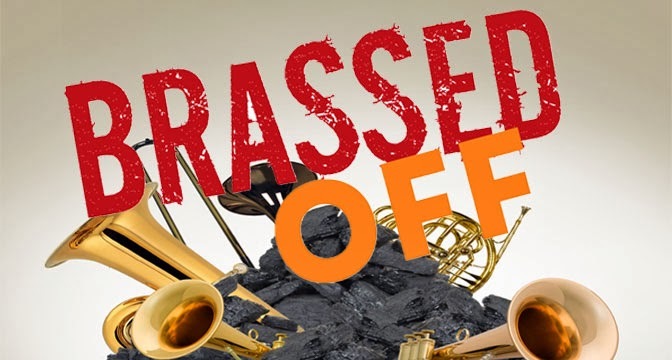 ‘Brassed Off’ is a distinctly British affair which follows the trials and tribulations of a colliery brass band following the closure of their pit, set in the fictional village of ‘Grimley’. Veteran of TV, Film and Theatre Andrew Dunn (Coronation Street, Dalziel and Pascoe, Law and Order: UK, Casualty) and co-star Luke Adamson play father-son duo Phil and Shane in the play, and were also on hand at the show’s launch on Monday for a Q+A session discuss the play and their roles, with a slew of highlights including Dunn’s take on miming instrumental play, a semi-naked shower scene and even spray tans! Currently running at the York Theatre Royal until Saturday 1 March, the show has already garnered notable critical praise and success, including a 4-star review from Alfred Hickling of The Guardian, citing that “The drama is remarkable” and is a production that “neither softens nor sentimentalises the realities of hardship”. As always, keep an eye out for our own full review of the show when it arrives for it’s run at the Wolverhampton Grand from Tuesday 8 - Saturday 12th April 2014.
including the spritely 'Clogg Dance' and the moving 'Danny Boy'. For more information on the show and to book tickets, head on over to the Grand website by clicking HERE. Alternatively, telephone the Theatre Box Office direct on 01902 42 92 12. (A)musings media were invited to this event by the Wolverhampton Grand Theatre directly. We gratefully acknowledge their generous invitation and continued support.